The Block Fort: In Defense of the Virtual Console. Recently, Rare released an anthology of its best games on the Xbox One. Since then, many phrases have been thrown around the Internet, comparing Rare Replay to Nintendo's virtual console. Things like "Xbox has more N64 games then the Wii U!" And "Rare knows how to update their backlog and Nintendo doesn't!" Words like these sent my Nintendo fanboy side into an outrage! But I stay calm, and politely decline to comment... But sometimes you just gotta let it out. Rare's backlog is so infinitesimally small compared to Nintendo's. 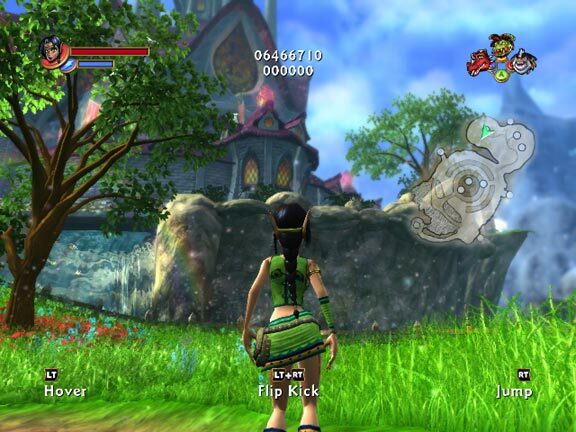 Rare puts 30 games on a disc, and everyone praises them. Why does it take Nintendo so long to release games on the Virtual Console? Because there are thousands of them! Jet Force Gemini was downright unplayable, even back when it was released. Rare tweaks the controls some, and everyone praises them. Do you know why Nintendo barely touches the games they release on the virtual console? Because they don't need to. Not that their games are perfect by any means, but they are all very much playable and enjoyable in their original forms. because the light gun technology is out-dated and impossible on most modern TVs. And the fix, I think, was smart and well implemented. "But it's 30 games for $30! Thats $1 per game!" No. Here's the thing. 15 of those games are NES games. And not great NES games like Zelda, Mega Man 2, or Blaster Master, 15 mediocre NES games (yes, even Battletoads). Now Battletoads/Double Dragon is a game I can really get excited about. Except it's not part of this collection. So, 7 games. Bringing the average price to $4.29 per game. Now, you might look at that and say "SEE!? Nintendo's pricing is ludicrous!" opinions are opinions, but I don't think anyone can sit there and tell me that they'd rather play Banjo-Kazooie over Super Mario 64, or Perfect Dark over Metroid Prime, or Kameo over Mario Galaxy. At the end of the day, even if we don't like every game released the virtual console, Nintendo has the highest quality backlog of games. Period. It's sad that we can be fooled so easily by a headline. "30 great Rare games for $30!!!" sure sounds good on the surface. But give me that $30 and let me have 2 or 3 incredible experiences, and leave the fluff out. If I want a mediocre NES game, because it was part of my childhood, I'm happy to pay $5, but that's because the experience is meaningful to me. So who cares if the Xbox One has more N64 games than the Wii U? How many SNES games does Xbox have? How about GBA? DS? So, is the virtual console perfect? No. Is it more valuable that Rare Replay? Absolutely. Your opinion is very understandable, and I completely agree with it. I am very big fun of consoles, but now I prefer to play using visual boy advance free download https://romsmania.com/emulators/gameboy-advance/visualboyadvance-68 cause in our modern times its more comfortable than to play in console.